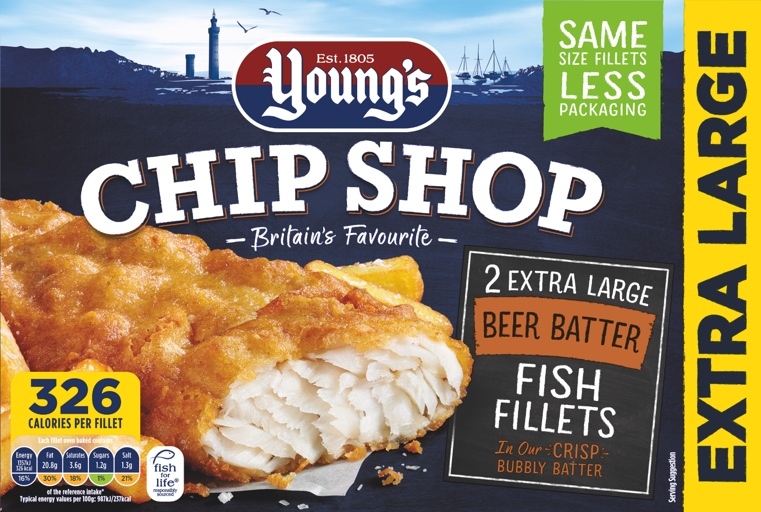 Our Extra Large Fish Fillets in Beer Batter are best oven baked straight from your freezer. Ensure product is piping hot throughout before serving. All appliances vary, these are guidelines only. 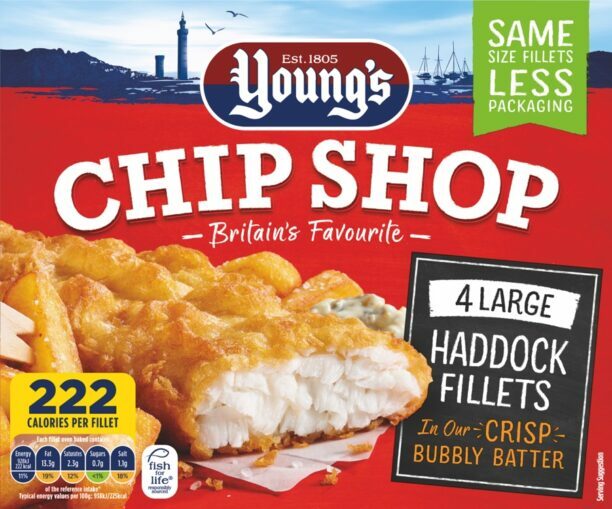 Alaska Pollock Fillet (54%) (Fish), Wheat Flour [Wheat Flour, Calcium Carbonate, Iron, Niacin (B3), Thiamin (B1)], Sunflower Oil, Rapeseed Oil, Palm Oil, Water, Beer (2%) (contains Barley, Wheat), Wheat Starch, Salt, Flavourings, Raising Agent: Diphophates, Sodium Bicarbonate; Maize Flour, Yeast Extract, Dextrose, Sugar, Wheat Gluten, Dried Skimmed Milk, Mustard Flour, Colours: Curcumin, Capsanthin; Spices.